Kakuzu (角都, Kakuzu) was an S-rank missing-nin from Takigakure and a member of Akatsuki who was partnered with Hidan. Kisame Hoshigaki jokingly referred to them as the "Zombie Combo" (ゾンビコンビ, Zonbi Konbi), due to the fact that, in a sense, they could not die. 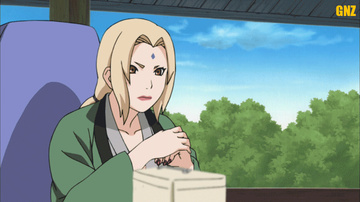 Within the organisation itself, Kakuzu acted as the organisation's treasurer. When he was still a loyal, elite ninja of Takigakure, Kakuzu took on a mission to assassinate Hashirama Senju, the First Hokage. This mission, however, ended in failure due to the might of Hashirama's Wood Release techniques. Despite the insurmountable danger faced in the mission, what awaited his return to his village was the stigma and harsh punishment associated with the failure of his objective. In response to this treatment, a wrong levied against a shinobi who had put life and limb on the line for his village, Kakuzu came to hold a violent hatred to his village as he escaped from imprisonment. In his flight from the village, Kakuzu killed the village elders, took their hearts, and fled with knowledge of the village's most prized forbidden techniques. He made a living off bounty hunting in the black market, and tearing out the still-beating hearts of powerful shinobi to extend his own lifespan. Some time after his defection, he joined Akatsuki, and was given a number of partners, most of whom he killed, due to his short temper. This is why he was eventually partnered with Hidan, whom he could not kill because of his immortality. Also at some time in the past, he apparently encountered the Gold and Silver Brothers and witnessed Kinkaku's jinchūriki transformation.